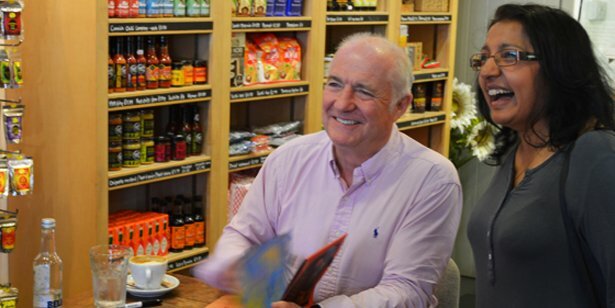 Rick Stein is joining us at Stein’s Deli on Friday 19th February from 11am – 12noon for a book signing. We have a whole host of Rick’s recipe books to hand, including his most recent recipes From Venice to Istanbul. We’ll have some special tasters for all those in line as well as our usual collection of bread and pastries from our bakery in Padstow to browse. Why not make a day of it and treat yourself to lunch at St. Petroc’s Bistro after you’ve met Rick? You can enjoy some of his favourite recipes from chargrilled sardines to pan fried hake with puy lentils, 2 courses for £15.